If the previous post on using tarot for character development appeared right-of-center for you, this one appears it for me. Previously dismissive of the field of Physiognomy, I was happy to find that the possible archetypes and personality analysis associated to facial features are worth understanding. Physiognomy or face-reading has been a practice for thousands of years. Ancient Greek philosophers believed in it, whilst some Chinese practice it today. The practice was dismissed around the Middle Ages due to the many con-artists using it at the time, but nowadays it has raised in prevalence and been related to many other holistic or spiritual theories. Even if you don’t share a belief that face shapes can tell us about the personality of a person, as writers we should remain open to the subject: Even now many people make quick judgements about personality type or who a person is, based on face shape or features. In popular and literary fiction alike, authors make use of some of this, perhaps without thinking – I can’t recall ever finding a hero described as being thin-lipped, for instance – but villains? And thugs with round childish faces? Not so many, unless going for a comedy. Taking head shapes out to full body type – very few heroes I have read are below average height. We all know the rumours about the real heights of some of our top actors playing such heroic roles, and how filming needs to accommodate that to make them look taller. Take a look at those actors as a group, and you may find similar facial types, however. Yes, human beings are quick to make judgements through outward appearances. But we can use that as a development tool. How do I use Face Reading as a Writer? There are a couple of ways face reading can help with character development. The first method is in using face shapes for providing a very rudimentary but commonly understood archetype for stock or some secondary characters. 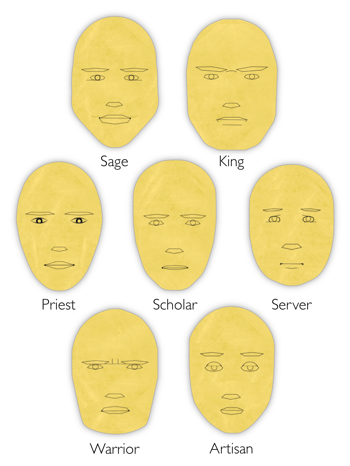 Helpfully, seven face shapes have been caterogorised into different “types” of people for us. These are listed below. 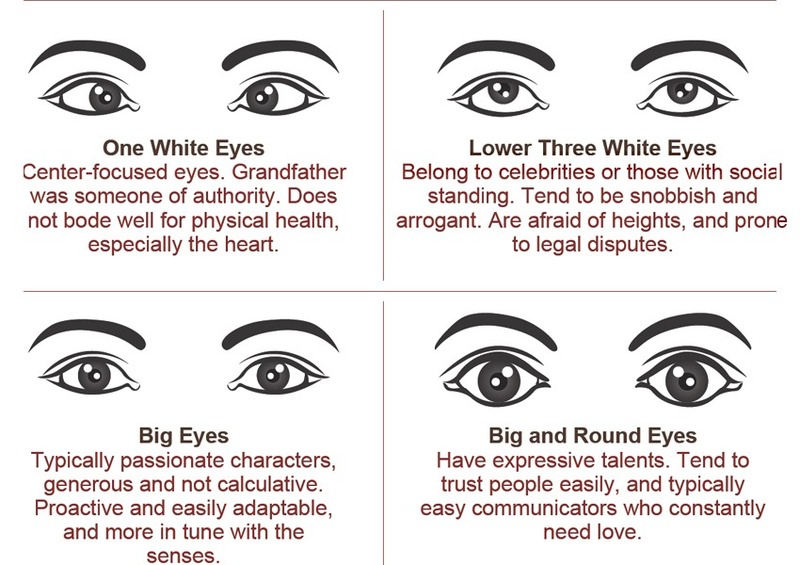 You can simply read the archetypes and choose what you need, then build on from that personality and facial description. For major characters, I use many different tools for character development. Like most writers, at some point in development, I find images of a real-life person who looks like how I see the character in my mind. These face-claims can be tricky – sometimes I just can’t find exactly the right look to a face, or the hair or something, meaning I compromise my own mind-description of the character to some respect. Sometimes it’s also better to go with an unknown rather than celebrity – using a celebrity as face claim brings some personality or behaviour associations. But once I have the look of the character, and some personality and traits development, I look for other tools to augment the development. 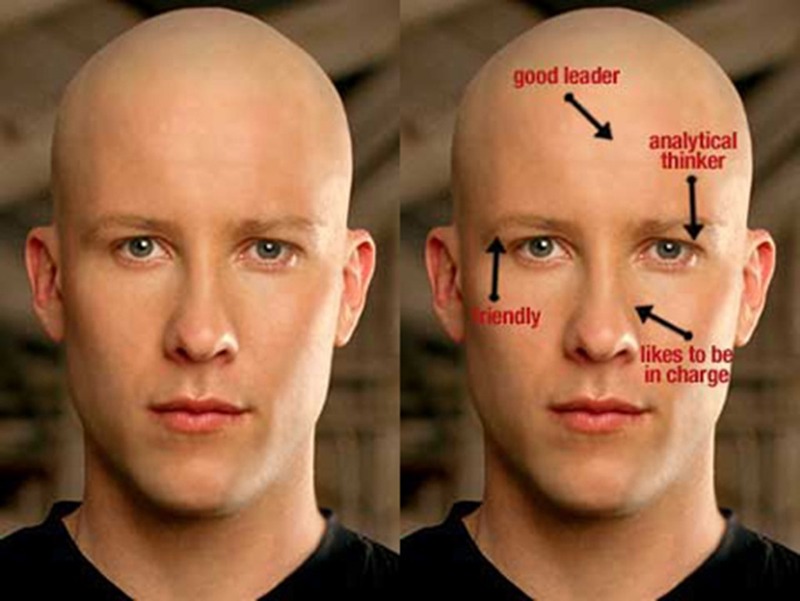 This is where I came into the quick study of face and head-shape reading, and of course the realisation that if I describe my character to a very detailed level, the reader may well have preconceived personality or intelligence ideas based on the character’s description anyway. A knowledge of facial shapes and some of the stereotypes associated with them lets a writer take an additional look at what they are creating. Some basics are listed below. Warning: stereotypes abound, but writers may well be at fault in creating some of the common stereotypes – writers in the 1800’s were influenced by physiognomy at the time, and many writers have since followed suit with fictional characters following those older villains and hero descriptions. Forehead – foreheads are associated with intelligence. Wide foreheads are seen to denote cleverness, as well as practicality. Men with receding hairlines (and large foreheads) are often estimated as being intelligent. Note – put on glasses and you double the intelligence. Narrow foreheads are seen as being closed down (narrow-minded). Eyes and Eyebrows – small eyes are often stereotyped as denoting stupidity, but it’s not all bad – deeply set eyes (which may appear small) denote a deep-thinker, somebody like a scientist or philosopher. Large eyes help in the commonly understood attractiveness judgement – doll or doe-eyed actresses are often said to be more attractive. For this reason, women enhance the size and attention to our eyes and fullness of our lips with makeup. The drawing art of anime pushes large eyes to the limits. Close-set eyes belong to criminals, while the Chinese believe wide-set eyes are lucky, although very wide-set eyes are used by cartoonists at least to denote someone a little, er, kooky. Eyebrows are also something quickly judged – most Hollywood actresses have highly arched eyebrows, allowing the viewer to see their large eyes well, and denoting that that person is observant and easily read (an arched eyebrow, anyone?). Straight eyebrows denote a person who is thoughtful. The unibrow is despaired, revealing cruelty or possessiveness. The Unibrowed character, Gerard is fittingly Maggie Simpson’s nemesis. Many stereotypical comic-book evil villains sport unibrows. Unkempt eyebrows – at least for older men – appear to denote intelligence (as in Albert Einstein). Noses – ah, the area of plastic surgeon enrichment programmes. Certain shapes denote wealth and therefore possibly education and intelligence, not to mention attractiveness. Thick fleshy large noses belong to criminals – or contact sportsmen. Lips – full lips are always best somehow. Thin lips belong on people who, um, may be a little stingy? Lips denote sensuality and communication. Round and full lips are on people who are caring, while a thin top lip in particular, is understood to denote a person who does not reciprocate much. 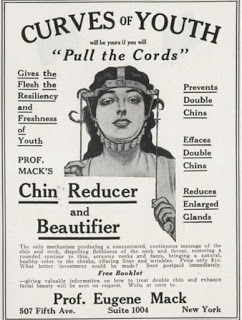 The Chinese face reading system believes balanced full lips are lucky, while unbalanced is not. And of course, a full bottom lip at least allows a character to chew on it, denoting their nervousness. Round shape – seen as jovial, sensitive, sincere and caring. Perhaps this is because round faces are somewhat child-like and therefore playful but trusting. Oval shape – dedicated, people of principles, fearless, diplomatic, intelligent and authoritive with good people skills. Oblong or Long shape – practical, spiritual, creative. Oblong shapes often come with a straight or athletic body, so are also seen as fit and active. Diamond shape – diamonds have pointy chins and small foreheads, which are seen as determined, but possibly unpredictable or cunning. Many stereotypical crones or hags of fairy tales have pointy chins. Oddly, the really pointy chinned are seen as “nosy” which isn’t really associated with a certain nose type. Square shape – wide foreheads and jaws, denoting practicality, competitiveness (the strong bone structure), aggressiveness and rebelliousness. The stereotype of this, from a physiognomy viewpoint, the thug or bully found in many of our films. 18th Century physiognomy practices associated the square face to criminals, hence also the materialistic association we possibly put onto people. It’s not all bad – the broad square face is also the Santurnian loner (see below) – somebody with empathy but is an introvert. Helpfully all of this fits into some archetypal personality types. There are two sets – the Soul Types and the Astro (Celestial or Planetary) Types, but both identify similar characteristics. Note that in certain theologies and spirituality practices such as astrology the number seven is highly significant, and you can find seven soul or celestial types commonly spoken about. These are the seven soul types (detailed here with even more detail and appearance descriptions at Personality Spirituality net here including celebrity example photos matching the facial types). Note that soul types are matched not only with general face shapes, but facial features and settings, and sometimes body type is also described. Writers will notice that the soul type names match well with the standard Jungian archetypal characters. Kings (diamond shape but blockier forehead) are naturally commanding, assured, powerful, authoritative, decisive. (4% of the population). At Personality Predictors 7 Personality Types have been described here, with another index linking to more details on each here. On other new age websites similar planetary types are listed, all of which use the face shape (and body shape) to categorise people into archetypes of character role and traits under a planetary naming system. These are also linked with one of the four elements. Jupiterian (long but angular face)– the Leader – determined, reliable, idealistic, steadfast. Saturnian (broad, square face) – the Loner – empathy, cautiousness, introverted, sensitive, determined. Lunarian or Neptune (round face) – Creative Dreamer – creative, artistic, restless, travellers, nervous, active. Martian Type (round or square face) – Focused Courageous / Last One Standing – soldiers for a cause, steadfast, loyal friends, unwavering belief, few words, direct, act quickly. Apollo Type (oval or long face ) – Lucky Ones – athletic, loved by all, charming, tall, attractive, perceptive, highly intuitive, healthy, vigorous. Mercurian (large forehead, pointy chin) – Fame and Fortune – wiry, quick, intellectual, quick-witted, precise, tactful, good at games, and finance, highly strung or anxious and restless. Venusian (Round or Oval face) – Balanced and Beautiful – warm, idealistic, caring, balanced, happy, fun loving, sensual, giving, family or love orientated, talented, truthful, of service. Askastrologer.com pinpoints areas of the face for certain traits. 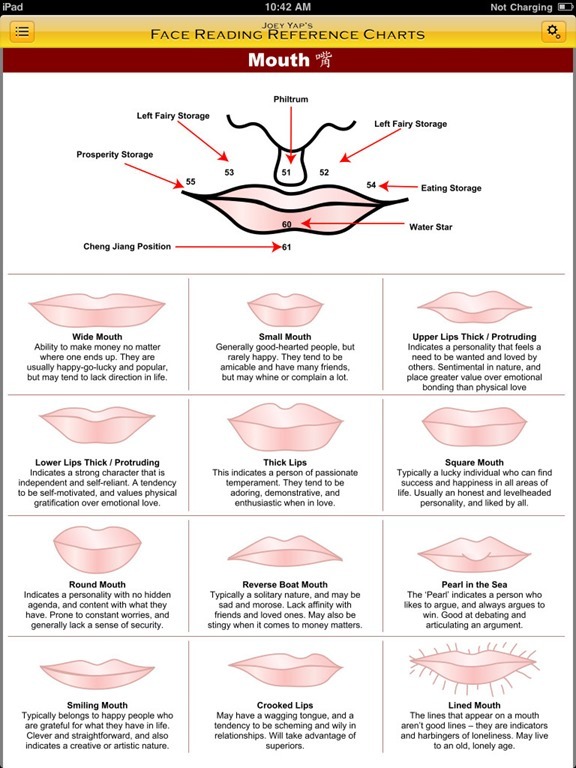 Isabel’s Beauty Authority blog has a detailed post on Chinese Face Reading practices, and includes many interesting diagrams and charts, some appearing here. The Chinese 12 Houses method of face reading is also documented in this post. Joey Yap is the store that many of the images found on Pinterest and elsewhere map back to. Here you can find many charts, books and courses on Chinese Face Reading. There are several apps available on face reading also. There’s even a Physiognomy PC application (screenshot below). Or play around with a photofit app. Need some help in simply selecting a starter face for your character? Face claims are all the rage through RPG channels, and there are copious tumblr blogs set up to share face claims or pictures from celebrity sources. Directories are available to search through – just google them. This is one of the bigger ones, filterable. 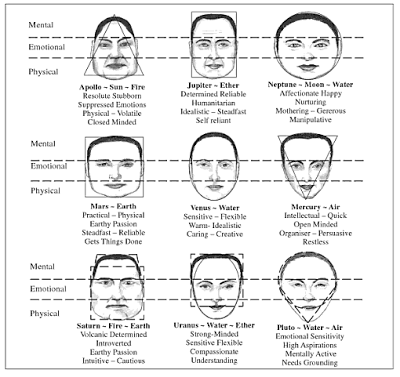 Astrology Com Australia has a large detailed page on face shapes and elements to personality. A free to download PDF on Astro-Type Planetary Guide, which links astro-types with goddess or god examples, as well as the humors and elements. An ebook on Astro-Types with face reading. 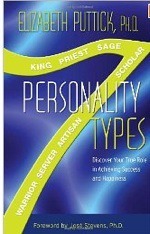 7 Personality Types by sociologist/counsellor Elizabeth Puttick, Ph.D. (Hay House, 2009).